Well, well, well. 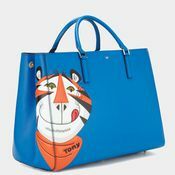 Anya Hindmarch has taken inspiration this season from every day household objects, recreating them in very high end materials. For example, the Digestives bag is made from snakeskin. I didn't even realise items were still made in real snakeskin! These may be inspired by throw away objects, but their prices are obviously not quite as throwaway. 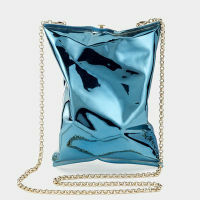 This Daz clutch bag is £595, and currently has a waiting list. 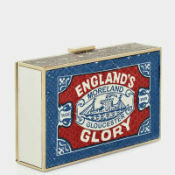 I am curious as to the copyright on things like this.....wonder who Anya Hindmarch has to contact to get permission? How about a biscuit bag? Delicious!